Who makes up Heads & Tails INC, and what part of the world are you currently based in? 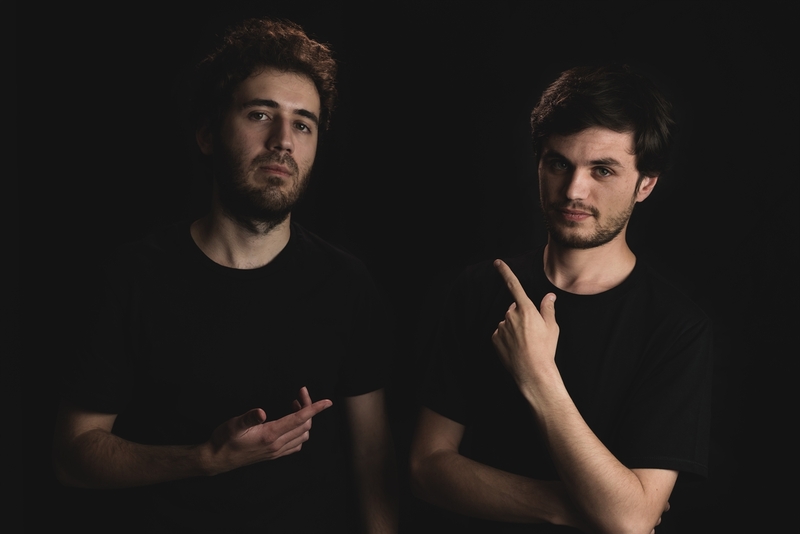 Heads & Tails INC is a duo based in the surroundings of Barcelona formed by Xavi Martí a computer engineer, and Marc Trepat an architect. For those not already familiar with your sound, how would you describe your music genre? We don’t really have any specific subgenre that we would classify ourselves in, as we are trying to cover a wide range, but techno is probably the simplest way to describe our sound. We love trying different things to discover new vibes, and we have done tracks ranging from dub to industrial techno, but we are always exploring ideas for the next releases. How do you guys know each other, and what got you into music? We both met in the surroundings of Barcelona, in a club where Xavi was initially playing. Marc had a doorman friend in that club, and he would visit him every week to say hello and have a chat on the street outside the venue before the club opened its doors for the night. One evening when Marc was chatting to his doorman friend he heard some music from the club that caught his attention, and the doorman let him inside to check out the rest of the DJ’s set. After the set, the doorman introduced Marc to the DJ who was Xavi. Xavi always had an obsession with electronic music since he was a kid, which turned into a love for it when he sneaked into the city nightclubs on weekends when he was still only 16 years old. The moment he saw the DJ playing he knew he wanted to learn how to mix records, and after accomplishing those skills he also turned his hand to music production. Marc has always been in relationship with music, as his mother is a classic and contemporary dancer, and his father is a jazz musician from a successful band based in Barcelona. He started studying piano and clarinet before joining several bands, but he thought this wasn’t the sound he liked, so he stopped for about five years until he met Xavi and returned to music. I understand your next EP is due out on UNER’s label Solar Distance, could you tell us about how you first made contact with UNER? Our first contact with UNER was returning from the 25th anniversary of Space Ibiza during the long flight delays Ibiza usually has. Marc saw UNER just next to us, and since we are both huge followers of his work he didn’t hesitate to politely say hello. During the conversation we told UNER we were going to see him play the Ants party at Ushuaïa, and asked if we could bring him some of our music on a pen drive, which he very kindly agreed to us doing. So a month or so after that conversation, we arrived at Ushuaïa with almost nothing to show, as we had not made many new tracks, but UNER had remembered meeting us so this was the beginning of our friendship. Afterwards we started going to some of the parties that UNER played, and attended a masterclass he was teaching, so via those we kept in contact. It wasn’t until Sónar festival during the labels meeting that we eventually showed UNER our tracks, which he accepted to release in his label Solar Distance. The release on Solar Distance was a lot harder and more techno focused than the label’s usual output. Could you talk us through the concept behind the EP? We knew that Solar Distance is an eclectic label with a wide range of styles, and that allowed us to be unrestricted with our own sound. The main trait of this EP is hypnotic grooves made by the complimenting patterns of the synths and drums. We tried to make those elements evolve over time, alongside with the inclusion of some background pads, and voice textures that add some organic elements. Tell us a little about your writing process when it comes to making music, and are there any bits of equipment essential to your style? The first thing we decide is the energy and the mood of the track, and then we decide how to transmit that concept to the listeners. That will often be the only fixed step, as Xavi is a bit chaotic, and he may be inspired in some form or another depending on his mood that day. Sometimes the percussive groove is the first part to be finished, and from there new ideas arise when it comes to the synth sounds or background elements. Other times the percussion part comes after setting the melodic idea. Xavi initially had a studio with some synths and controllers, but ended up selling almost everything because often we work mainly with the computer and just a few plugins. Stripping it back just to a computer was a great decision, as the less equipment the more creative you force yourself to be with the few things you have access to. Outside of music what are your other interests, and do they influence what you guys do as DJs or musicians? We think Heads & Tails INC couldn’t be defined without talking about the design and multimedia attached to music. Xavi is a computer engineer and his natural curiosity with new software brings him to learn in multiple disciplines that link technology and music. Things like visual designs, 3D mapping, or even creating a synthesiser are just a few such examples. Marc is an architect and is always trying to link music and architecture. The first project where he did this was an architecture school project where he conceptualised an electronic music academy where a strong correlation between the space (designed by Marc) and sound (generated by Xavi) was presented. The second collaboration between us was at Sónar Festival (Barcelona) for the Sónar+D stage. For this we presented an audio-visual reactive project where a 3D mapping show was evolving in real time based on music (bpm, frequencies, and transients), and the users movements captured by a motion tracker. We not only love music, but also how music can interact with other disciplines, and enjoy experimenting with these multimedia concepts. You mentioned at the start of this conversation that you are currently based in Spain, what’s the local music scene like at this time of year? This time of the year is where everything starts coming up, and we are preparing for the summer when the first outdoor festivals like SoundEat or Brunch-In take over Barcelona and kick start the party season. Also, in the summer is Sónar Festival alongside all the OFFSónar parties that bring together local talent and international artists. We really think it’s the best and most beautiful week in the whole year of Barcelona’s electronic scene, where every spot of the city is stained with electronic music. Honestly, we don’t know what’s coming next just yet; the only thing we know for sure is that we’ll keep trying our best, and enjoying the process of creating/playing music. So as long as we keep this love and curiosity for music we hope this will go a long way for our Heads & Tails INC project.